The first episode of the second season leaves us wanting for fresh content. There is something very disconcerting about a franchise that is so aware of its popularity that it stops making an effort. 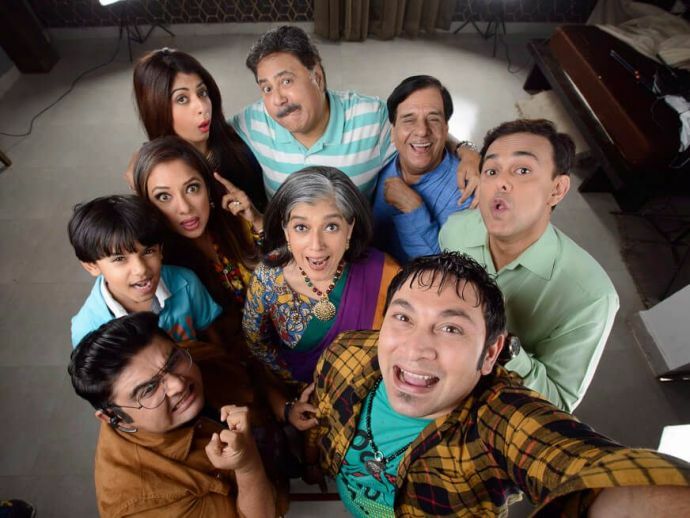 On watching Sarabhai vs Sarabhai Take 2, one has the same feeling, compounded by the realisation that the first season was not the one-trick game that the premiere seems to rely on. Or in Monisha lingo, time toh waste hua hi, 15 rupaye ka data bhi kharch ho gaya! The very ingredients about the original Star One favourite that we all loved and grew up with, seem forced and out-of-place in the first episode, Monisha Ki Mannat. For starters, what is up with the sets? An obscenely overdecorated penthouse replaces the urban chic Cuffe Parade apartments of the Sarabhai family. The women are dressed rather boringly, while the men look like they just walked out of a 70’s villain’s den. Most of the cast is the same, except for the replacement of Shital Thakkar, who played Sonya by Aishwarya Sakhuja, and the addition of Arnab, Monisha and Sahil’s son. There isn’t much to say about the episode per se, primarily because it doesn’t do much to distinguish itself from the earlier season. It begins on a very exciting note, but that doesn’t take long to fizzle out. There is some jarring VFX and sound mixing, but you try to walk past that, because Sarabhai! Monisha is still the irresponsible penny pincher, strewing clothes all around the art studio-turned-penthouse and saving money where none needs to be saved. The absence of growth in her character, which, in the writer’s opinion, had the greatest room, is one of the most disappointing things about the episode. Rosesh is not a carefully etched character, but a caricature of his former self. The “onomatopoeia” that is so characteristic of his poetry, is thrown about so liberally that it stops being funny. Madhusudhan phupha’s “Hain?” jokes too, are a little too many. There are the classic Maya-style expressions, like “linguistically lower middle class” and “mythologically downmarket”, and the rants she bursts into to certify her daughter-in-law’s humble origins, but they too, are heavy-handed and do not make a lot of sense. Hats Off Productions appears to suffer from the television version of the sequel curse. Khichdi: The Movie was nowhere near the belly-achingly hilarious TV show, and the highly anticipated Take 2 has started on a rather dank note. We sincerely hope that the series picks up in the episodes that follow. As for now, we solemnly pray to Matkadhar Baba to bring back the wit and freshness that Sarabhai was all about.